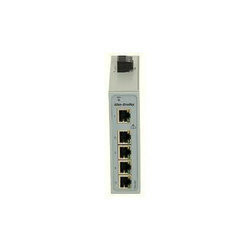 Our product range includes Network Equipment such as Lan Switches and Lan Plugs. Operating Environment 0 to 50 deg C, 10 to 90 % relative humidity, non- condensing. Power rom the USB port. Consumption 100 mA. Isolation 500 1500 Vdc (1 minute) from USB interface and the RS485/RS422 interface. 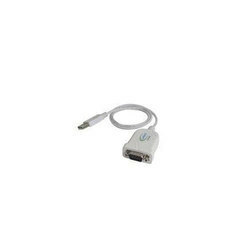 Computer Interface USB V1.1 Plug and Play. The USB-i485 module is a cost-effective way to convert RS485 or RS422 industrial buses to a USB interface. When connected to a PC USB port the USB-i485 module is automatically detected and is installed as a native COM port, which is compatible with any existing serial communication application. Multiple modules can be installed when using USB hubs thus allowing a hassle-free configuration of a multi serial system without any IRQ or DMA configuration. 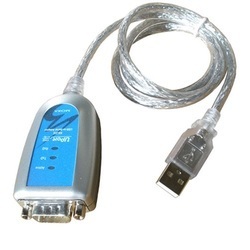 1500 Vdc isolation between the USB port and RS485/RS422 protects the PC from spikes or possible misconnections in the communication bus. The USB-i485 module is a cost-effective way to convert RS485 or RS422 industrial buses to a USB interface. 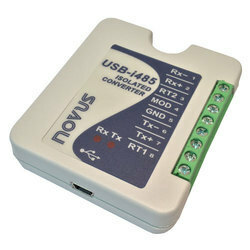 When connected to a PC USB port the USB-i485 module is automatically detected and is installed as a native COM port which is compatible with any existing serial communication application. Muliple modules can be installed when using USB hubs thus allowing a hassle-free configuration of a multi serial system without any IRQ or DMA configuration. 1500 Vdc isolation between the USB port and RS485/RS422 protects the PC from spykes or possible misconnections in the communication bus. 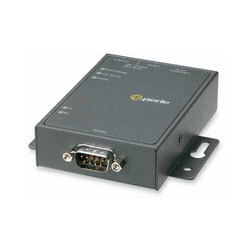 The USB-i485 converter can be configured for four-wire (Full Duplex) RS422 and RS485 or two-wire (Half Duplex) networks. When operating in two-wire RS485 the data transfer control is automatically done by the converter. Two independent and isolated RS485 networks can be supported by one USB-i485 module thus duplicating the possible number of remote devices. Supports Windows 7/Vista/XP/2008Server/2003Server/98/ME/2000/CE, MAC and Linux 2.4.20 or above. 64 bit options for latest operating systems. The IOLAN DS/TS Device Server is the best choice for simple serial to Ethernet connectivity applications. Delivering a cost effective solution in a compact size, the IOLAN DS/TS offers flexibility and advanced TrueSerial® technology making it ideal for applications that require an authentic serial connection across an Ethernet network. IOLAN DS1 Device Servers are also available with support for Extended Temperature Ranges.  FTP/HTTP  FOTA  MMS, SMS support. 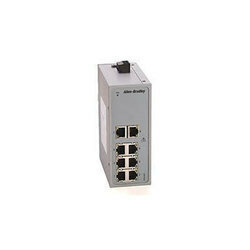 Looking for Network Equipment ?